DAY - 30 ml/1 fl. oz. | NIGHT - 30 ml/1 fl. oz. Discover the science behind great skin! 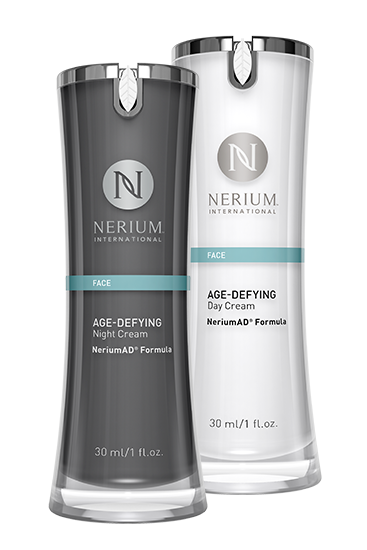 Experience Nerium's night and day difference with the ultimate skincare system: Age-Defying Night and Day Creams, NeriumAD® Formula. Get all the benefits of both products in one purchase! Both feature the powerful, proprietary NAE-8® extract. This revolutionary, multifunctional age-fighting product targets puffiness, dark circles and wrinkles to reveal smoother, healthier-looking skin around the eye. Our exclusive Age-Defying Eye Serum also brightens, tightens and moisturizes the eye area. 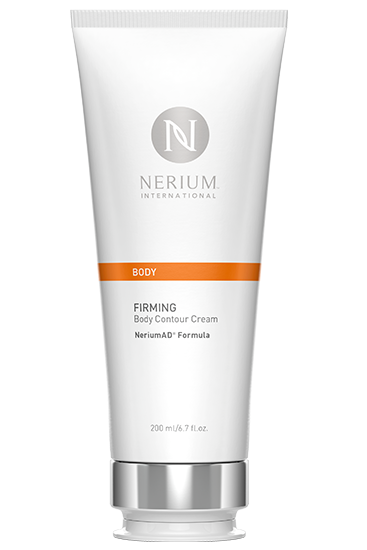 Firming Body Contour Cream, NeriumAD® Formula is a clinically tested revolutionary body cream. The advanced ingredients, including our exclusive NAE-8® extract, help firm and tone problem areas for sleeker, more youthful-looking skin. 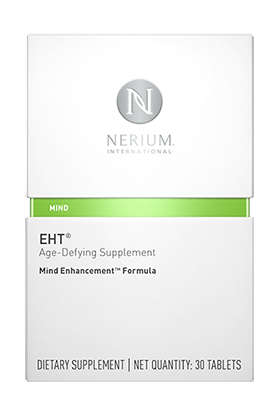 Help defend your brain against the signs of aging with EHT® Age-Defying Supplement, Mind Enhancement™ Formula. This breakthrough supplement features the patented EHT® molecule, which promotes better cognitive function and overall brain health. Results include improved brain performance and a healthy, focused mind. Each box contains a 30-day supply. Copyright © 2016 Center for your Health. All Rights Reserved. Copyright © 2016 Center for your Health. All Rights Reserved.